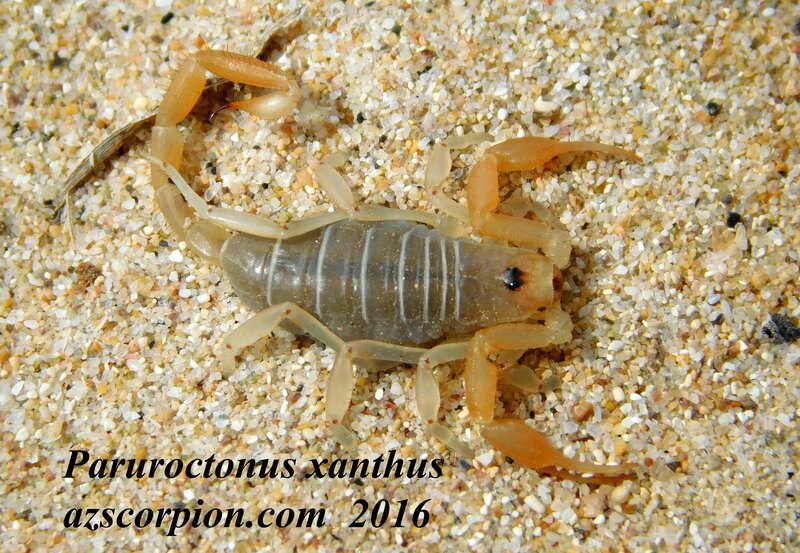 The photo of this Paruroctonus xanthus was taken in a sand dune in Western Arizona. My wife calls them "Swimmers", a reference to their ability to live and move in Sand. It was at approximately 500 feet elevation. Total length is about 2 inches. This Flagstaff Arizona Scorpion site copyright Rich Ayrey 2008-2016. This Arizona Scorpion page created 03/26/08. This Arizona Scorpion page last updated 03/09/16.